The Frederick Hammersley Foundation has generously donated sketchbooks, notebooks, lithographs, prints, and working materials spanning most of the artist’s long career to the Getty Research Institute. This archive includes copious notes that reveal his methodical process. 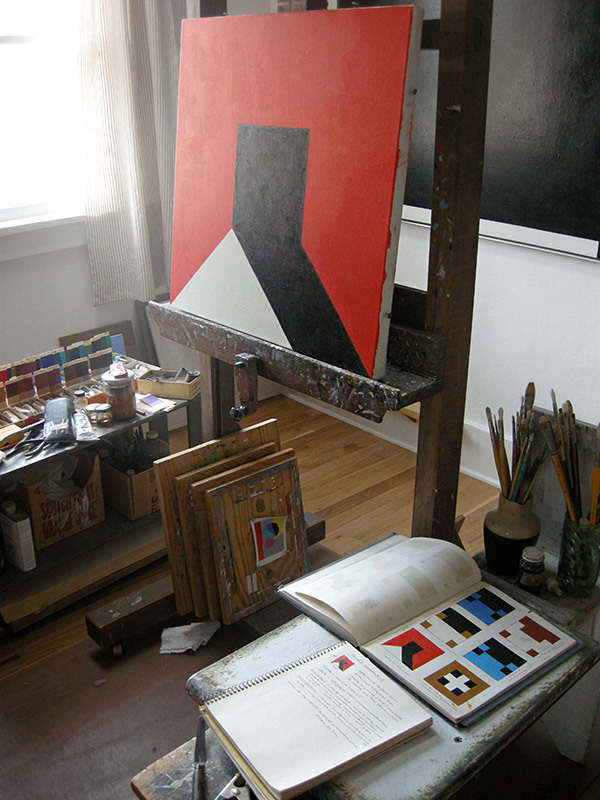 Frederick Hammersley (1919–2009) was a key figure in the development of modern art in Los Angeles and a pioneer of hard-edge abstraction, widely considered to be Southern California’s first home-grown postwar artistic movement. 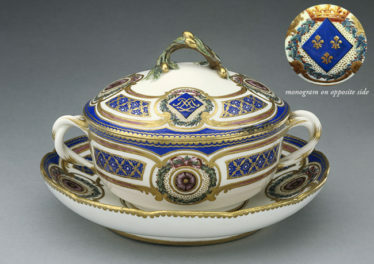 Hammersley came to prominence in the 1950’s and ‘60s with his unique paintings, which range from stark geometric designs to more flowing combinations of multihued shapes. Despite their precise lines and construction, Hammersley’s work displays a personal touch, guided by his belief in intuition as an important principle for art making. For the most part, Hammersley has been exhibited as a painter (including recently in Pacific Standard Time), but he also worked in drawing and lithography. As the hundreds of pages in the sketchbooks, written notes, and test prints in the archive show, Hammersley had a deep and continual engagement with artistic research and was interested in a broad range of media. This small but very dense set of materials sheds considerable light on Hammersley’s artistic process from both an intellectual and a technical standpoint, making it a valuable research tool for both art historians and conservators. His sketchbooks and notebooks document his intense formal experimentation over a nearly 50-year period, as he tests out hundreds of compositional ideas and color relationships in preparation for making finished paintings. Additionally, Hammersley’s “painting books” meticulously record a remarkable amount of detail about each of his finished paintings. The early books, beginning in 1959, document each painting by number (along with a small reference sketch), its title, its dimensions, the type of support, the type of ground, and occasionally the start and finish dates and sales information. 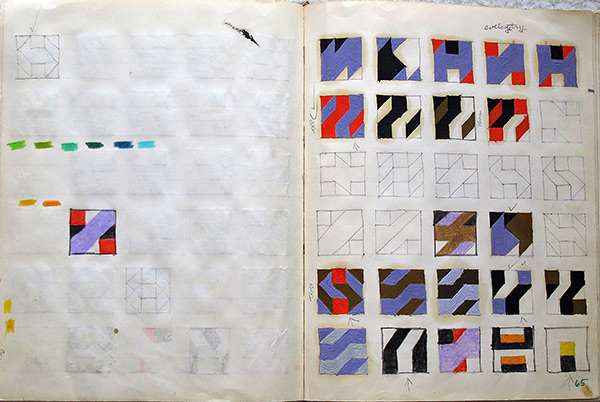 Throughout the 1960s Hammersley’s notebooks become progressively more detailed, eventually including records of the specific material and processes used for each work, including the number of times a canvas was wetted and stretched, the type of stretcher used, whether Hammersley sanded it, the types of glue, shellac, and wax used, and the specific mixtures and brands of paints that he employed on each area of the canvas during each phase of the painting. 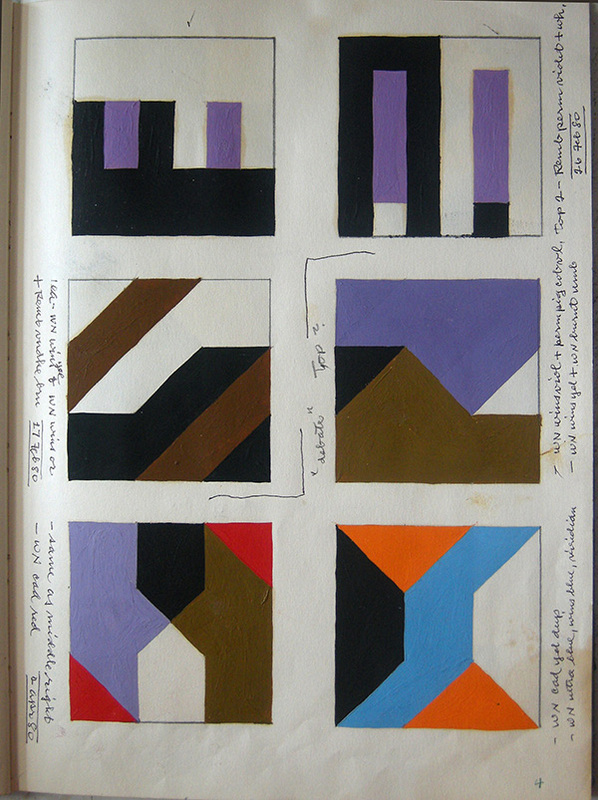 The notebooks also document Hammersley’s tendency on occasion to rework earlier paintings—sometimes for the purposes of restoration, but often in order to change the composition. 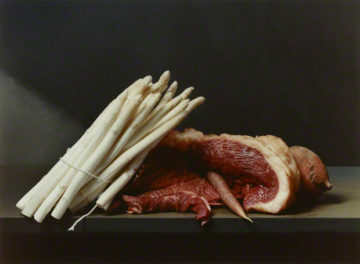 This extreme level of detail is incredibly rare among painters’ archives, and the notebooks will allow art historians to trace the evolution of each of Hammersley’s paintings from earliest idea to finished form, while also providing an unprecedented level of technical detail to conservators about the precise techniques and materials used in each work. In fact, the Getty Conservation Institute has already been studying these notebooks for precisely this purpose. 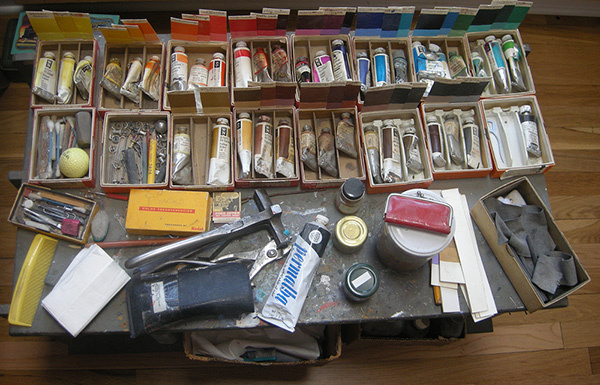 Frederick Hammersley’s paints and studio tools as left on his painting table at his home studio in Albuquerque, New Mexico. 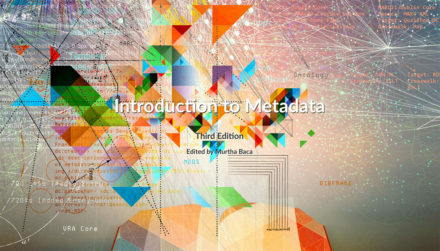 In total the donation includes 11 sketch- and notebooks; 100 loose-leaf notes of Hammersley’s ideas for titles; several hundred lithographic impressions and notes from a 1949–50 lithography project; 141 unsigned Computer Drawings representing uneditioned samples and alternate versions of Hammersley’s computer prints; 65 paint charts that show Hammersley testing a variety of paints; and a small, unstretched canvas that was Hammersley’s first “Hunch” painting. The Research Institute will catalogue the archive and make it available for research. As the curator and head of Modern & Contemporary Collections at the Getty Research Institute, I specialize in postwar and contemporary art, including video, performance, and other time-based practices. I've organized the exhibitions California Video and Evidence of Movement, as well as several video series, including "Pioneers of Brazilian Video Art, 1973–1983," "Surveying the Border: Three Decades of Video Art about the United States and Mexico", "Reckless Behavior", and "Radical Communication: Japanese Video Art, 1968–1988". I came to the Getty from the Whitney Museum of American Art, where I worked on exhibitions about contemporary art and video.